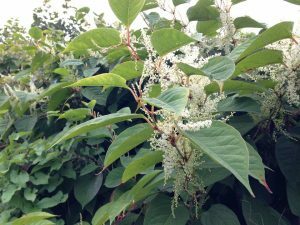 Japanese Knotweed: What do you need to know? It is not a secret that the presence of Japanese Knotweed can pose significant problems for individuals and organisations, both legally and financially. The presence of this invasive plant on a property or even in close proximity to a property (ie, on neighbouring property) can create extreme difficulties for people wishing to sell their property; and for buyers wishing to secure mortgage finance. Given the problems people face securing mortgages and coupled with the potential damage that Japanese Knotweed can do, both structurally and to the value of properties, it is no wonder that individuals can be worried about this plant. What is the Law regarding Japanese knotweed? As stated in the Environment Agency Knotweed Code of Practice “it is not an offence to have knotweed on your land”. However, where knotweed moves between private landowners from one property to another or Japanese knotweed on neighbouring land interferes with your property rights, the relevant law is that of ‘private nuisance’. A private nuisance is an act or omission which is an interference with, disturbance of or annoyance to a person in the exercise or enjoyment of his ownership or occupation of land. Nuisance extends to include encroachment on to neighbouring land such as in the case of overhanging tree branches and tree roots which cross a boundary. More recently, there have been many encroachment cases pursued through the courts as homeowners refuse to do anything about the Knotweed on their land, where Japanese knotweed has spread from neighbouring land, including land owned by Network Rail or land owned by local authorities and councils. But so to can the same can be said for Japanese knotweed on neighbouring land. If Japanese Knotweed has not yet encroached onto your property but is stopping you mortgaging your property or is impacting on the value of your property you can still pursue a claim through the courts. Where neighbouring property has Japanese Knotweed, it is a good idea to contact the owner to alert them to the presence of Japanese Knotweed. REMEMBER, many people do not know what Japanese Knotweed is, or the problems associated with it, so approaching your neighbour in a polite and respectful manner in the first instance is sound advice. Whilst cautious not to cause a dispute, identify and discuss the steps required to deal with Japanese Knotweed. Hopefully neighbours will be co-operative and the desired outcome will be achieved but unfortunately, neighbours who are less cooperative do exist. If this is the case and dialogue with your neighbour fails to achieve the desired outcome, you may seek help from your local council who will write to the neighbour. Where did Japanese knotweed come from? Japanese Knotweed is a highly invasive plant and is recognised as the most invasive species of plant in Britain today. It originates from Asia and was introduced to the UK back in 1824 as an ornamental plant and also a source of cattle feed. Japanese Knotweed is now abundant throughout the whole of the UK. Japanese Knotweed is a tall perennial plant. This means that it dies back in winter and re-emerges in spring (so typically the growing season is May – October). The shoots start to emerge, are asparagus like and are a red-green colour. As it grows through the summer the red colour turns into red speckles on an otherwise green stem. At full height it can reach up to 3m. It grows incredibly fast, and has be known to grow up to 6cm a day. The leaves are bright green and roughly hand sized in an almost heart shaped fashion. In September the plants develop small white flowers which in some cases can be so abundant that they almost completely cover some sections of the plant. Around November time the plant drops its leaves and flowers. The hollow brown and brittle stem (looks similar to bamboo) remains as a clearly visible indicator of where the plant stood in the summer months. The next year the plant will re-grow from the same spot out of what is known as the crown. Japanese Knotweed is a resilient plant that, in the UK and Europe, only spreads via the movement of its Rhizomes (the root system). Let’s explain the Rhizomes in layman……. The root system of a tree are individual roots growing in every direction from the circumference of the tree. From those roots, you do not get other trees growing. In comparison, the root system (rhizome) of Japanese Knotweed is very much like a spiders web, all interconnected under the ground, which can spread up to 7m in every direction and as deep as 3m. Unlike a tree though, from the intricate rhizome you can expect new growth. Add to this problem, a fragment of Rhizome, as small as half your little fingernail, can contaminate surrounding soil, on the bottom of a shoe, a lawn mower etc resulting in MORE NEW GROWTH! Think about this…. Japanese Knotweed is 5m away from the house. Given that the rhizome can spread approximately 7m (if not more) it’s not difficult to see that the rhizome could potentially reach the foundations of the house. What would the problem be with that? Like any plant, it will be in search of light, food, water so in order to get it, Japanese Knotweed will, and is invasive enough, to grow through any structural or hard-standing weakness. (e.g tarmac, floorboards, concrete etc etc). Think about this too… Japanese knotweed is on the boundary of the property. 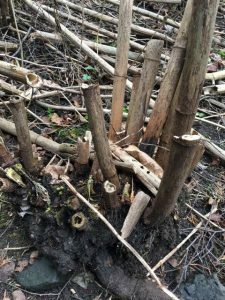 Although the only visible part of the plant can be seen on your property, it is safe to assume that the rhizome has spread (migrated, encroached) onto neighbouring property below ground! And remember, new growth is possible from the Rhizome! Ok so you have Knotweed on your property or you’re selling your house which has Knotweed or you’re buying a house which has Knotweed. What do you need to know? When selling your home, you are now asked specifically about Japanese Knotweed. The Law Society’s Pre-Contract Enquiry form (TA6) specifically asks home owners if Japanese Knotweed is on the property and you are required to answer yes, no or don’t know. This means that those sellers who do not disclose that the property is affected by knotweed run the risk of being pursued for an expensive, misrepresentation claim in court from their buyer should Knotweed be detected after exchange of contracts. The HomeBuyer Report is recommended for conventional, newer homes, which are in reasonable condition. It is the most frequently undertaken survey which provides a more in depth report of the condition of a property and gives you professional advice to allow you to make an informed decision of whether to go ahead with buying a property. The HomeBuyer Report will not detail every single aspect of the building, but it does spotlight urgent matters that have a substantial effect on the value of the property and needs attending to or further investigation. It will include all major sections of a property that are visible to the surveyor, so this includes the garden. 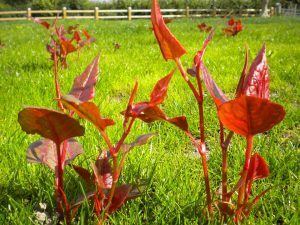 Most surveyors will identify if there is suspected Japanese Knotweed and will require that a survey is conducted by a PCA approved Knotweed Company. 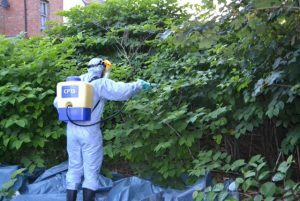 The Royal Institution of Chartered Surveyors (RICS) has put together an assessment framework to categorise the risk that Japanese Knotweed presents to a property. If Knotweed is detected in the survey it will be categorised using the assessment framework. The RICS Risk Categories are identified 0-4. 0 being the lowest risk, 4 being the highest risk. At present, banks, building societies and mortgage lenders recognise the problems associated with knotweed. They use the Royal Institute of Chartered Surveyors (RICS) assessment framework and the majority of lenders will refuse to lend unless certain criteria are fulfilled.To date, these criteria have not yet been standardised across the lenders so different lenders require different hoops to be jumped through but the one thing they do all agree on is that a PCA approved, specialist Knotweed Company must be instructed. The property vendor is responsible for the payment of instructing a specialist Knotweed company. Unfortunately, it is near impossible for the price of the treatment plan to be reflected in the purchase price, as the plan has to be in place before approaching the lender in order for them to lend. Once instructed by the owner of the property, the PCA approved Knotweed Company will put a Knotweed Management Plan in place. The management plan is for a period of 5 years, which includes a 2 year monitoring period to ensure no regrowth and most companies offer a 10 year warranty. The KMP will identify the method and schedule of treatments. The Management Plan is then passed to the purchasers, who then make it available to their lender. This is usually where different hoops need jumping through. For example: Some lenders require that the first treatment has been conducted, some lenders require an Insurance backed guarantee, some lenders require that the purchasers name is on the KMP. And so it goes on. But this is not as bad as it may sound, your PCA approved company will jump through the hoops for you, helping vendors sell & and purchasers, buy (doing whatever is required by the lender). *Please note, most companies charge an additional fee to transfer the warranty into a new name. Many thanks to Lorraine Hicks from Knotweed Services (UK) Ltd for providing informative content for this article.